Launched in 2008, the Energy Development Corporation (EDC) BINHI Greening Legacy program aims to restore 1,000 hectares of denuded forests and bring back the abundance of our premium threatened native tree species within 10 years. 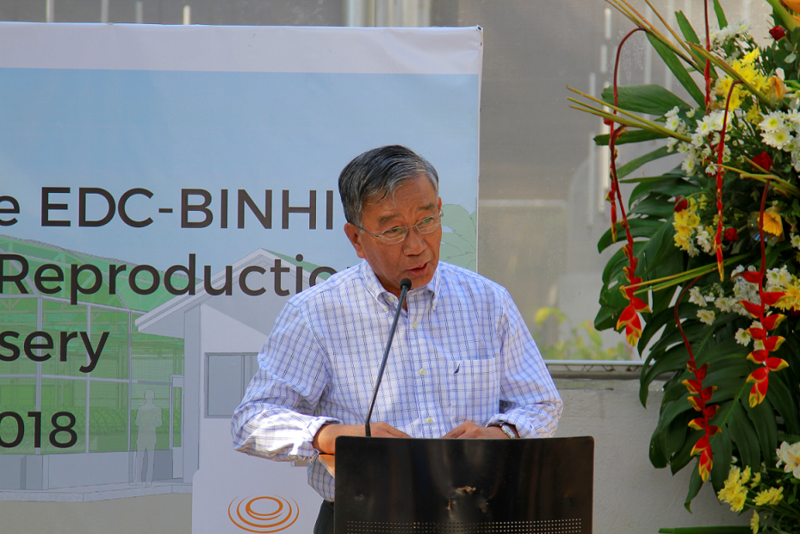 Unlike any other corporate environmental programs, BINHI is the only one undertaking the propagation of these native trees. After the BINHI team has successfully identified, located, and collected samples of the 96 targeted native tree species, it has sought out to propagate them. 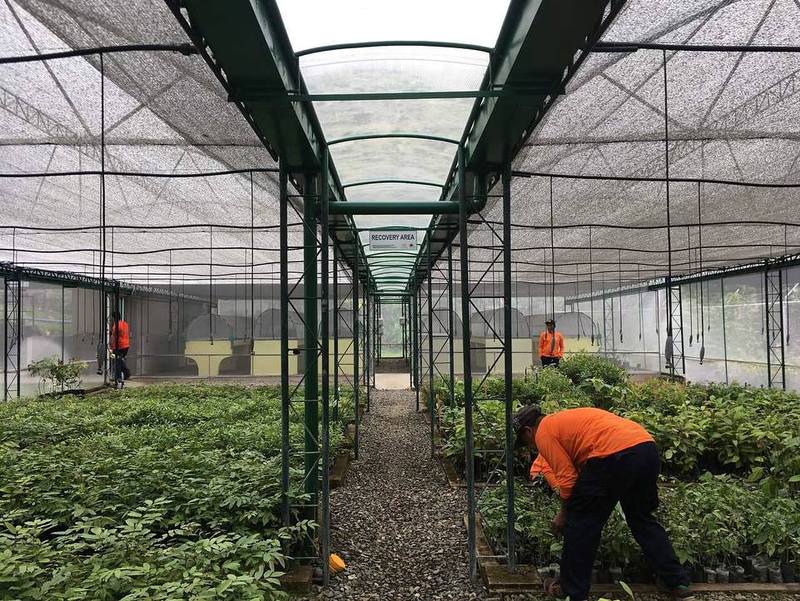 To do this, EDC constructed a state-of-the-art automated nursery called a Vegetative Material Reproduction (VMR) nursery along Sumulong Highway in Antipolo City, Rizal - its first in Luzon. The VMR nursery was inaugurated last April 20, 2018, to celebrate Earth Day, which falls on April 22nd this year. 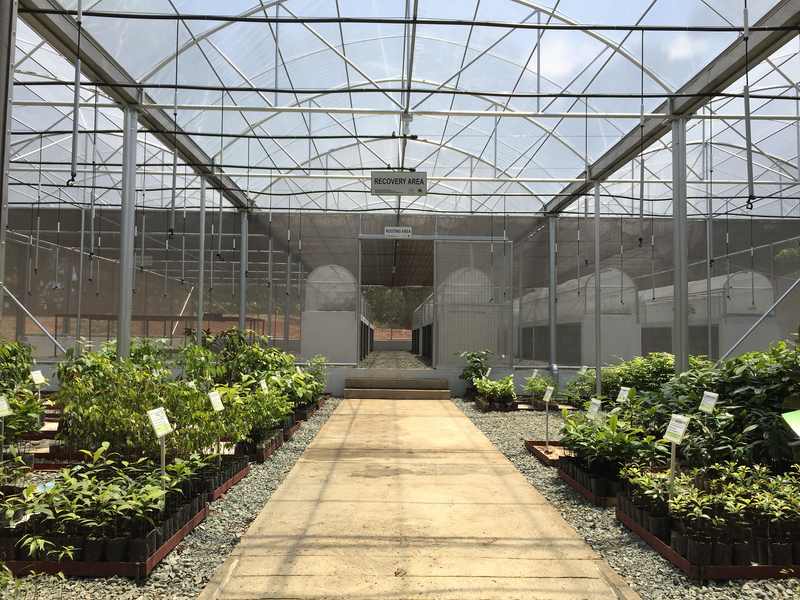 “This first VMR nursery in Luzon was built here in Antipolo to serve the big and ever-growing demand for our native trees here in the region. 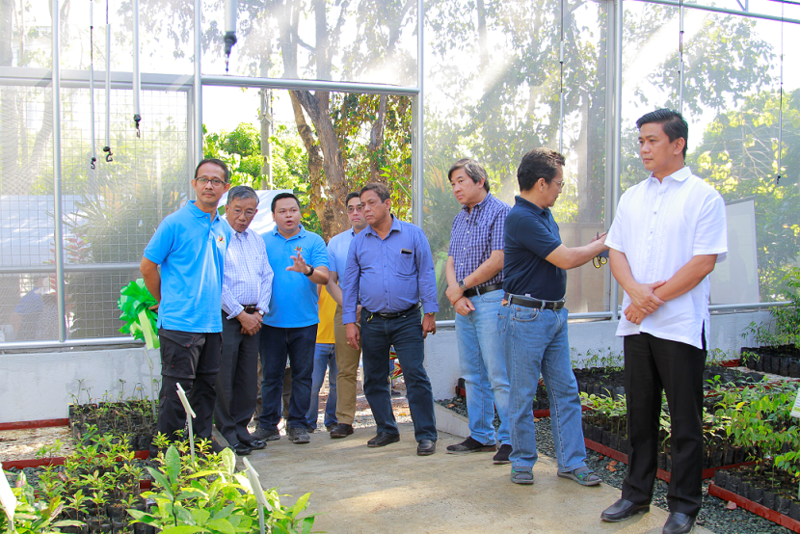 It can house a total of 50,000 seedlings at a time,” said Ricky Carandang, EDC’s Vice President for Corporate Affairs. Currently, EDC has 152 partners in 16 regions from all over the country who have pledged to keep planting and nurturing these native trees. EDC’s goal is to multiply these trees and plant them in “safe havens,” public spaces where they can be kept safe like schools and parks. Seedlings from the nursery will be used to grow mother trees. By growing these mother trees, EDC hopes to ensure the survival and eventual proliferation of high-value but fast-dwindling native trees such as yakal, tindalo, kamagong, mangkono, and ipil. The nursery uses a state-of-the-art, automated mist irrigation system. Its sensors can be programmed to automatically turn on the mist irrigation at the right time and with the appropriate moisture content, giving off just the right amount of mist to mimic natural forest habitat conditions, which increases the survival rates of these seedlings. 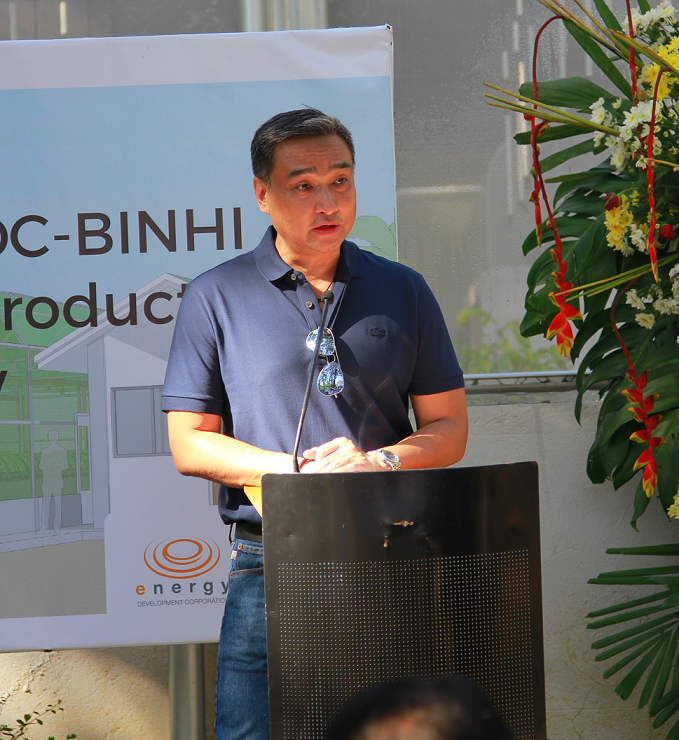 On the same day, EDC also inaugurated an automated nursery in its Southern Negros Geothermal Project (SNGP) in Valencia, Negros Oriental as a part of its 3-in-1 Earth Day weekend celebration. 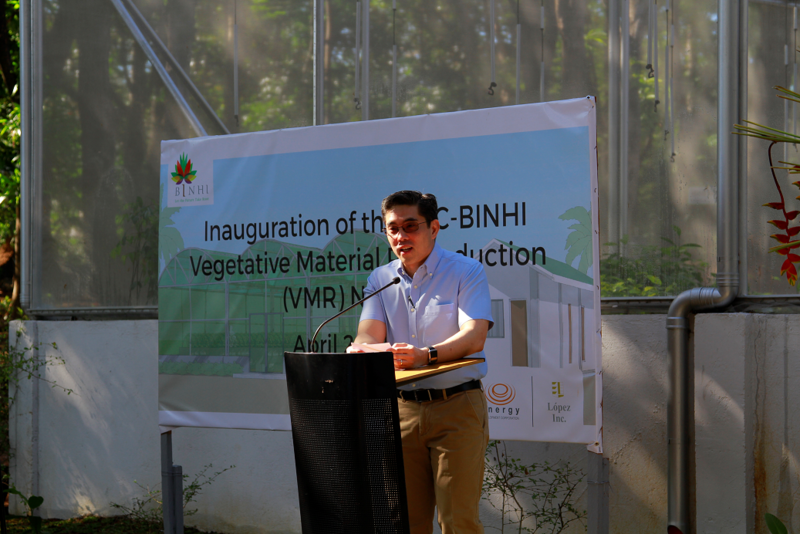 The nursery was transferred from EDC’s Northern Negros Geothermal Project (NNGP) in Bago City, Negros Occidental, which was built in 2012, to Valencia to make it more accessible to the BINHI partners in the region. The EDC-BINHI Vegetative Material Reproduction (VMR) Nurseries in Antipolo and in Valencia, Negros Oriental use a state-of-the-art, automated mist irrigation system that mimics natural forest habitat conditions, which increases the survival rates of the seedlings. 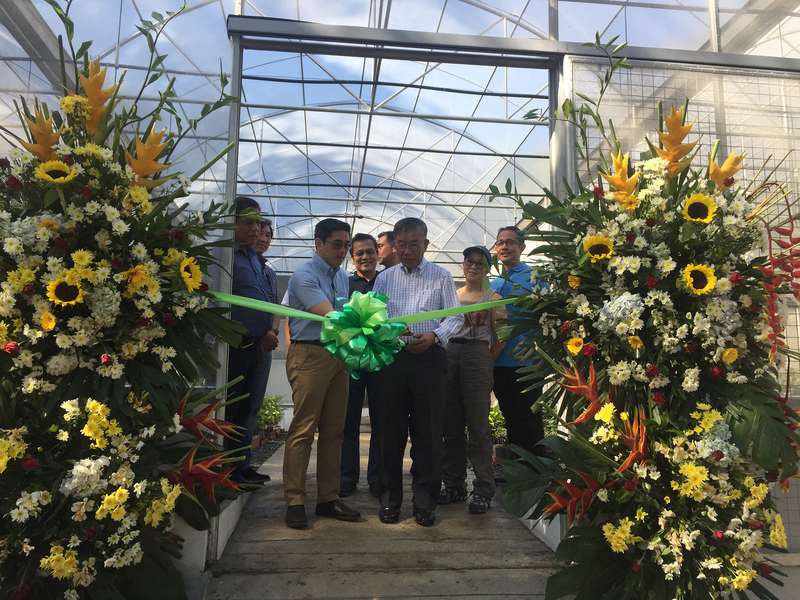 The ribbon cutting to the inaugurate of the EDC-BINHI VMR Nursery in Antipolo was led by Lopez, Inc. Senior Executive Vice President Benjamin R. Lopez and Department of Environment and Natural Resources (DENR) Undersecretary Gen. Rodolfo Garcia, Chief of Staff of DENR Sec. Roy Cimatu. They were joined by DENR Regional Director Sophio Quintana; Oscar R. Lopez Jr., First Philippine Realty Corporation President; For. Eleazar Alaira, Provincial Environment and Natural Resources Officer – Rizal; Ricky Carandang, EDC Vice President for Corporate Affairs; Mercedes Lopez-Vargas, Lopez Group Foundation, Inc. President; and Atty. Allan Barcena, EDC Senior Manager for Corporate Social Responsibility and Watershed Management. The BINHI team explains the functions of the nursery components to guests from the Lopez group, the DENR, and Rizal LGU. In the photo (from left to right): Atty. Allan Barcena, EDC Senior Manager for Corporate Social Responsibility and Watershed Management; DENR Usec. Rodolfo Garcia, Chief of Staff of Sec. Roy Cimatu; Ronino Gibe, EDC Corporate Social Responsibility Officer; Benjamin R. Lopez, Lopez, Inc. Senior Executive Vice President; DENR Regional Director Sophio Quintana; Oscar R. Lopez Jr., First Philippine Realty Corporation President; For. Eleazar Alaira, Provincial Environment and Natural Resources Officer – Rizal; and Enrico de Guzman, Antipolo Board Member.